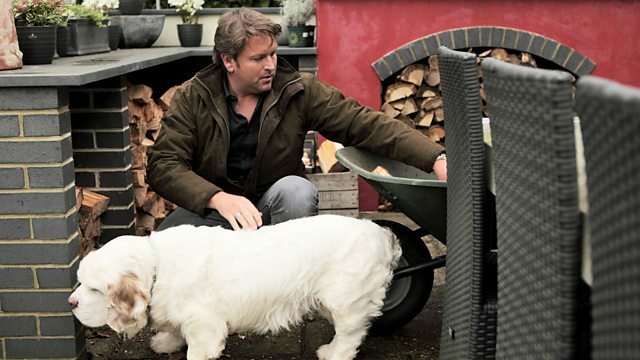 TV chef James Martin explores home cooking. James cooks dishes perfect for lazy winter days, and Ivan Day reveals how slow cooking has changed over the years. Long and lazy winter days are the perfect times to enjoy some indulgent home-cooked meals. For James, those dishes are a perfect chicken and mushroom puff pastry pie and some slow-cooked spare ribs. Food historian Ivan Day reveals how slow cooking years ago meant a very indulgent spit roast. And one of Wiltshire's local microbrewers, Alasdair Large, visits the kitchen to see what James can cook with his own locally produced beer.